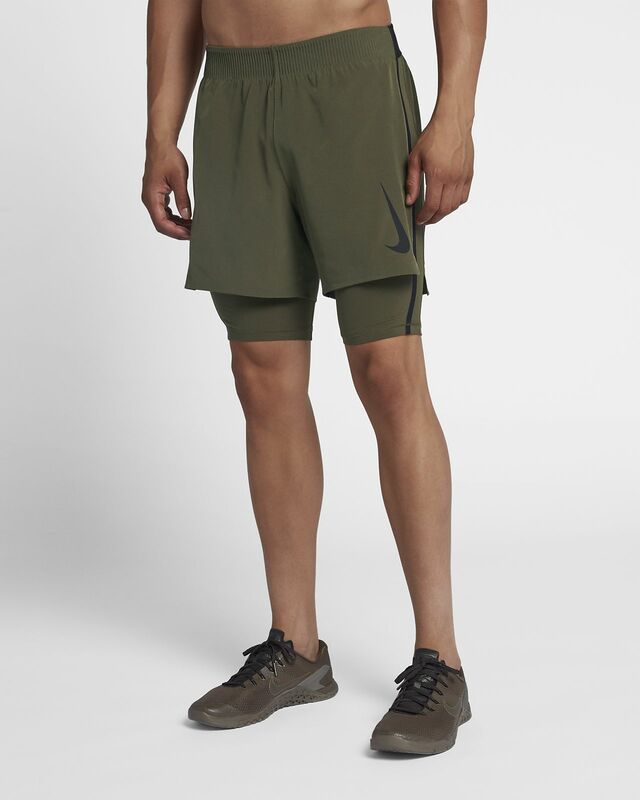 Durable enough for your toughest workouts, the Nike Flex Premium Shorts also feature enough stretch for moving in every direction and your deepest squats. Beneath the top layer, a pair of compressive shorts help keep you covered and supported. FREE TO FLEX. FREE TO MOVE. Nike Flex fabric stretches with your body, while Dri-FIT Technology helps keep you dry and comfortable. The compressive inner shorts help you feel confident and supported with every move. 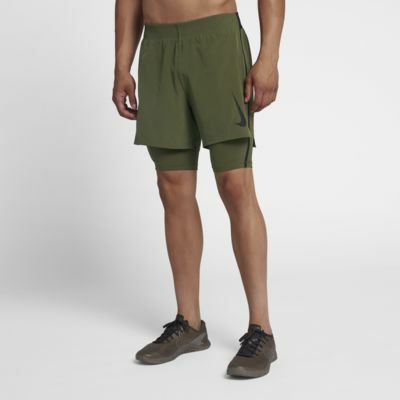 Inner and outer shorts are integrated at the side seams to reduce bulk. A loop on the back of the waistband can store your T-shirt or towel, while a zip pocket on the left thigh helps keep your phone secure during your workout. Fabric: Shorts: 85% polyester/15% elastane. Tights/centre-front lining: 75% polyester/25% elastane. • Fabric: Shorts: 85% polyester/15% elastane. Tights/centre front lining: 75% polyester/25% elastane. Have your say. Be the first to review the Nike Flex Premium.